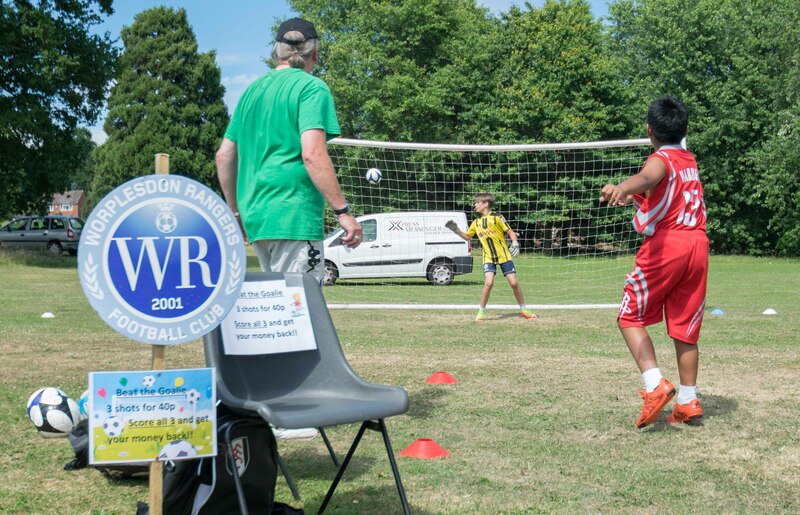 Fun Day held at the green area in Bellfields. 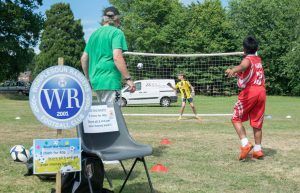 Thanks to Brian Slyfield for bringing along his WRFC sign and goal posts, and hosting the ‘Beat The Goalie’ pitch for the whole day. Hopefully it made more people aware of our great club, and maybe entice some new signings. And it was hot. Too hot for me. Look! It’s Brian. In green. Not the one in goal.